our 41-room jewel resides inside of three historic buildings combined into one – the first of its kind in all of Downtown Columbia. 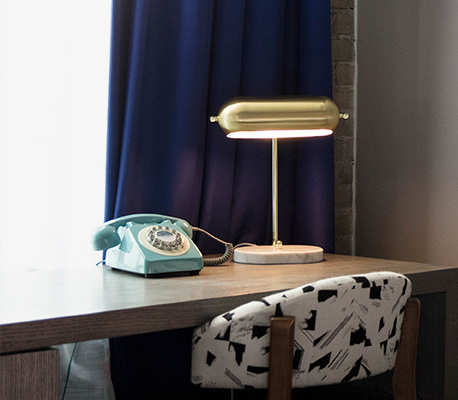 We have rewritten the rules of Southern Hospitality with a unique blend of curated guest experiences and services, good old fashion thoughtfulness, and an eclectic, 20s-era Art Deco style. 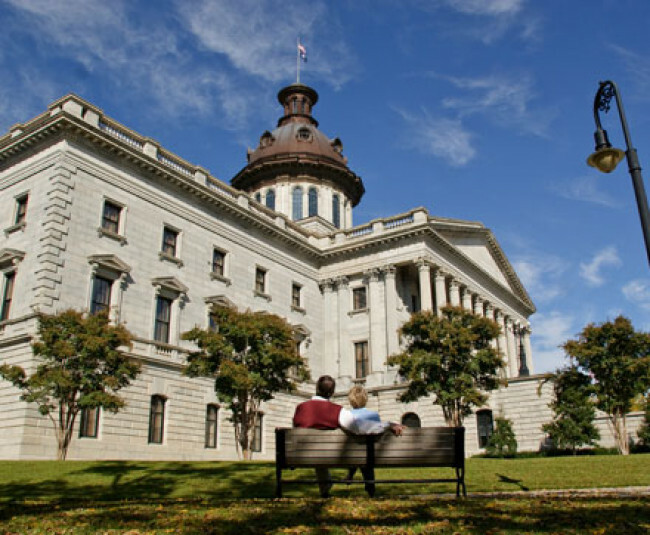 Home of University of South Carolina’s flagship campus and a vibrant hub of Southern culture and creativity, the state’s capital city blends college-town cool with an easy, come-as-you-are attitude. Think of this brick beauty as one of Columbia’s first mixed-use developments, with first floor office space and apartments above. 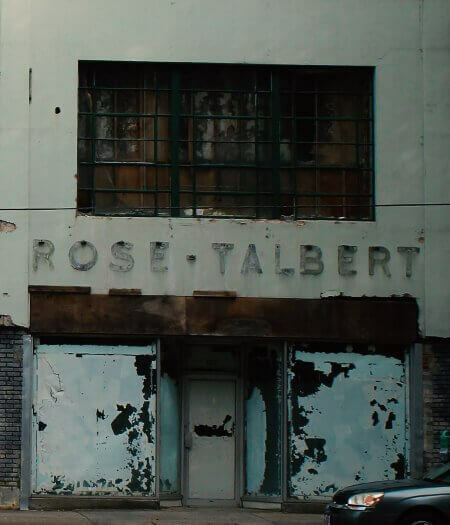 A 1936 redesign added a stucco façade and large 2nd floor tripartite window, setting the stage for 41-year tenant Rose-Talbert Paints. By the 1980s, an aluminum façade obscured the trademark stucco but, once removed in 2016, this architectural gem sparkled like new. 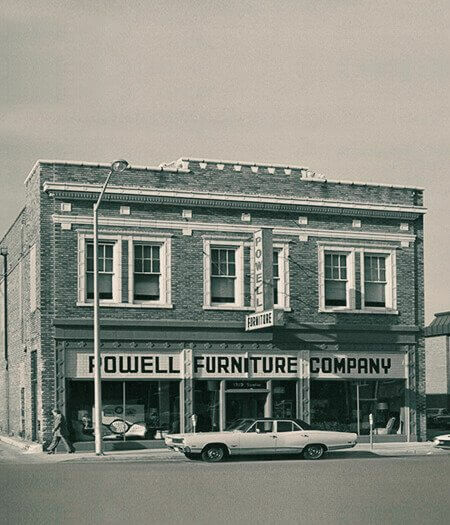 A significant example of early 20th century architecture in downtown Columbia, the Powell Furniture Building has had a number of occupants and owners over the last nearly 100 years, including the Knights of Columbus, Kirby Electric Service Co., Sears Roebuck, and Jenkins Auto Parts. 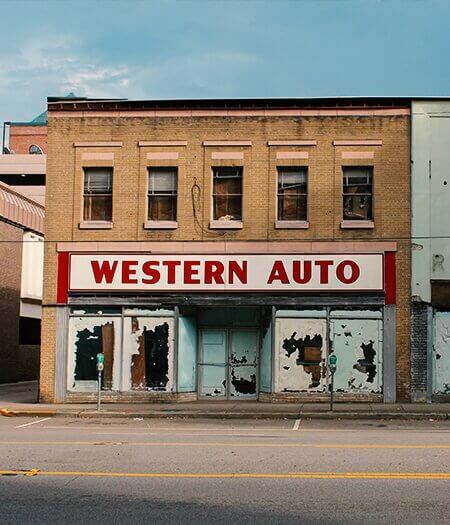 Anchored by long-time tenant Western Auto for 45 years, Hotel Trundle’s main entrance appears very much as it did in the 1940s, thanks to the 2016 removal of an 80s-era aluminum slipcover façade that revealed a well-preserved and intact circa 1940s downtown Columbia storefront. 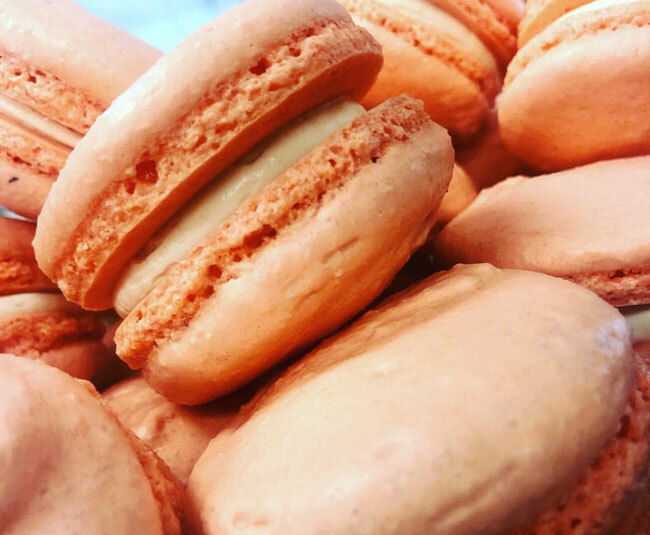 "We just stayed at Hotel Trundle for an in-town getaway to celebrate our anniversary, and we can't rave enough about this gem. 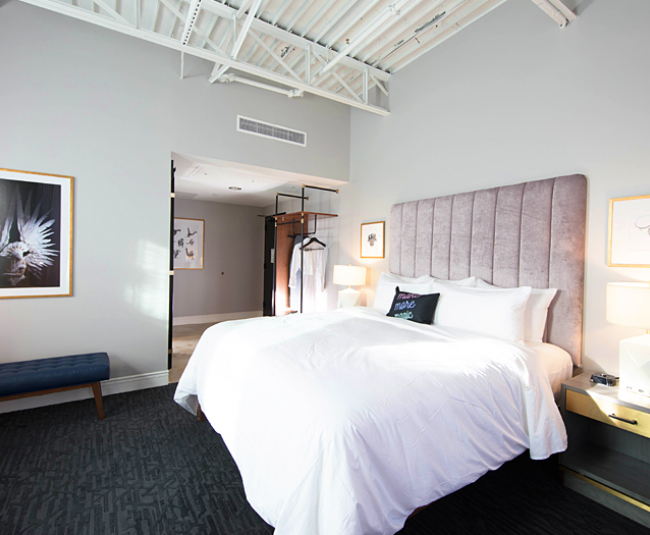 As lovers of boutique hotels, this exceeds any other boutique hotel we've ever stayed at!" "It was a wonderful experience. The decor was unique and interesting to look at. If you're going to be in Columbia this is a MUST STAY hotel. Service was amazing!!!!" "My wife and I decided to do a Staycation for our anniversary. Hotel Trundle exceeded our expectations. It was quite unique in that it feels historically preserved and modern at the same time. Even though we were essentially home we felt like we were hundreds of miles away." I highly recommend Trundle - we loved it! "An incredibly friendly staff who was very welcoming and kind enough to check on us during the course of our stay to ensure we were comfortable and our needs were met. The accommodations were very clean, chic, and the hotel itself is very centrally located." If There Was a 10 They Would Get It!! "What a great hotel. The rooms are luxurious, cozy and clean and the bed is so cozy. Had the pleasure to meet with the owners they are delightful. And the staff is fabulous! " © 2019 Hotel Trundle. All Rights Reserved. No thanks, I don’t want to receive special offers.